This delightful city and the surrounding area has a long rich history having been inhabited by Native Americans for thousands of years. 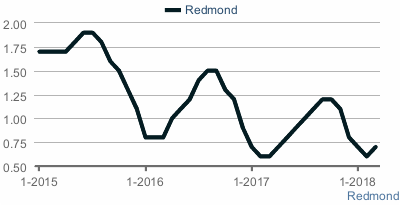 First settled in the 1870’s by Europeans, Redmond received its name in 1883 and was incorporated in 1912. This beautiful community boasts abundant forests and fish, which contributed to it becoming a thriving logging and fishing city. 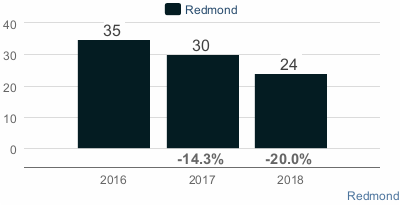 Throughout the years Redmond has experienced many growth spurts, particularly between 1951 and 1967 when the city grew to over thirty times larger in area as a result of several annexations. The city has also grown in population and according to the U.S. Census Bureau was the fasted growing city in the state in 1978. 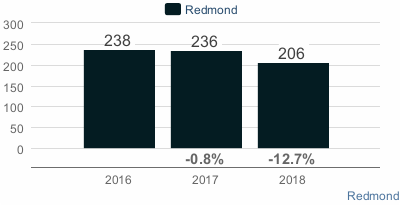 For those looking to relocate in the Seattle metro area, Redmond continues to be a popular destination. Bordered by unincorporated King County to the north and east, Sammamish to the southeast, Bellevue to the southwest and Kirkland to the west, Redmond is composed of 16.94 square miles. Within this delightful city you’ll find alluring residential communities just north and west of Lake Sammamish, while Downtown Redmond is found north of the lake. 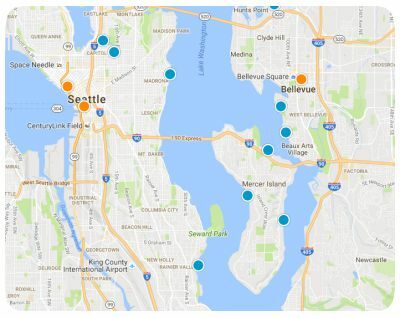 Homes for sale in Redmond come in wide variety of architectural styles, sizes, ages and locations, and the price range of homes for sale in Redmond is also quite broad. 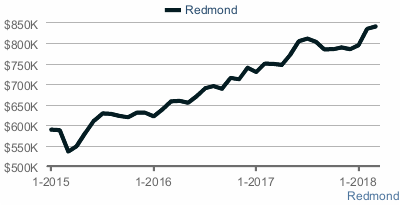 While there are occasional exceptions, homes for sale in Redmond usually range from around $105,000 to around $4.5 million. If you would like more information regarding homes for sale in Redmond, Washington, please do not hesitate to contact us today for assistance.